Sign in to Start Earning! Copyright © 2018 Bombsight Games. All Rights Reserved. Sign In to Start Saving your Progress! Create a new game lobby instead of joining an existing game. Sign in to view the Shop! All proceeds go towards supporting Bombsight Games, the developers, and the creation of games like this one. All of our payments are powered by Stripe, credit cards are not stored or processed on our servers and are instead sent securely to Stripe through a 256-bit TLS connection which is fully PCI compliant. AntWar.io is a fun multiplayer IO game where you play as an ant. Defend your colony and defeat your enemies. 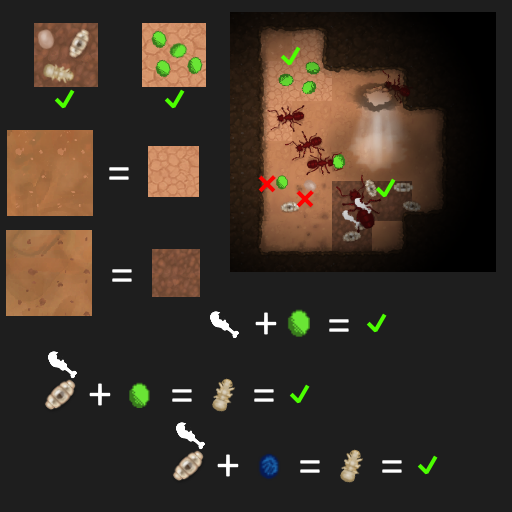 Build your ant empire and work with other players to win. Forage for food, hunt for bugs, defend your queen, and grow your colony. 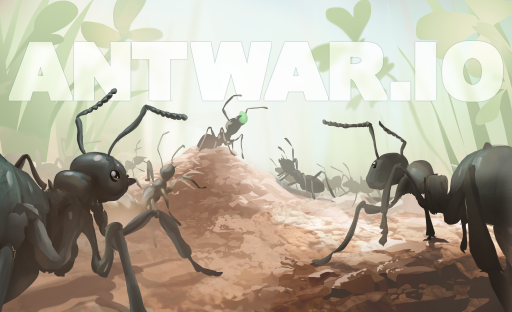 AntWar.io is inspired a bit by other ant games, but a lot of the inspiration comes from ants in real life. Ant wars, aphid farming, etc. are all something ants do naturally! If you are interested in learning more about ants or ant keeping check out r/antkeeping on Reddit. AntWar.io is owned and developed by Bombsight Games. We can be contacted there or by emailing contact@bombsightgames.com. Feel free to contact us or post on our forums with ideas you may have! Sign in to earn coins and XP for free! Use left click, ctrl, or press down on your ant to open the command menu. When you start a new colony, you will be the queen. Find a good spot for your nest that is near food, humid(dark) dirt, and dry(light) dirt. You can see small hints on the surface for humid and dry dirt. Right click(or double tap) somewhere on the ground to dig and start your colony. Teamwork is key, communicate with your fellow players! Ensure your queen and larvae are fed. 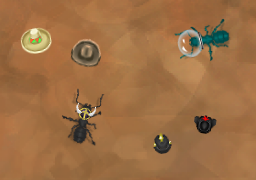 Pick up food (green balls) and place it on your queen/larvae when they are hungry(white icon over her head). AI will do this too. Place eggs/larvae/pupae on dark wet dirt and food on light dry dirt underground. Dig for more space by double tapping on dirt tiles, you must place dirt outside. 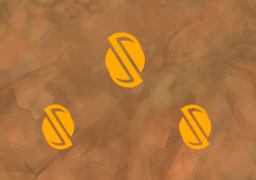 Collect food from the surface to feed your colony. Spiders drop blue food when killed, feed this to larvae to create soldier ants! Build your colony up to defeat all other queens. Once all enemy queens are killed, your team will win!